Why talk about other countries when you can see them for yourself? Bring history and culture to life by allowing students to visit and explore natural wonders, historical monuments, museums and far away places right from your classroom. Students need to know where they are going, how they are getting there, and how they need to manage their time. Provide students with clear instructions on how they will take their tour (Google Earth, Maps, websites, etc.) and what “stops” they will make along their tour. Bonus for math students: budgeting for hotels, transportation, restaurants, gear, etc. while keeping track of local currencies. Set clear expectations on what “souvenirs and artifacts” your students will create or bring back after their “trip.” This might include completing a worksheet, taking screenshots, or collecting information to incorporate into a presentation, video, or website. Watch how social studies teacher Bobby Lake uses Tour Builder to get his students excited about history. 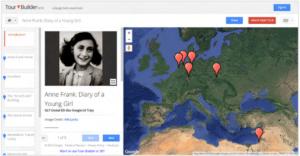 Files downloaded from the Google Lit Trip Library and opened on a Chromebook will open in Google Tour Builder or My Maps. EarthCam: Check out the world in real-time using EarthCam, a massive network of live webcams from New York to New Zealand and beyond. 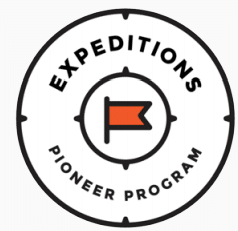 Virtual Scavenger Hunt: This tool is ideal for teaching history, geography, and science alike! Create a global scavenger hunt for important sites related to your subject, and let students collect “coins” for every one they find. Virtual Field trips provide an opportunity to incorporate Virtual Reality (VR) into the classroom. Google Street View and and Google Expeditions provide great opportunities for students to immerse themselves in a new place and culture. VR experiences require access to a mobile device (iOS or Android) and a VR viewer such as Google Cardboard. Students can experience spaces with their mobile device and complete their “artifacts” using a Chromebook. Thanks for your kind mention of the Google Lit Trip project. Since the release of Google’s new online version of Google Earth we are encouraging Chromebook users and others to transition from Google Earth Pro and Google Tour Builder to the new Google Earth. In doing so we’ve begun to upgrade all of our most popular Lit Trip titles to maximize the viewing experience including full 3D earth views. We have a step-guide for making the transition available on the same page of our website where people request Lit Trip trip kml files.